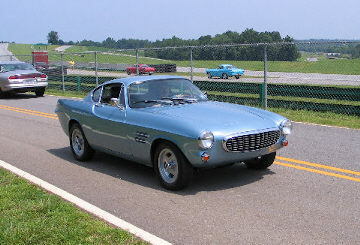 VSA is the car club dedicated to the Volvo P1800, including S, E, and ES models. 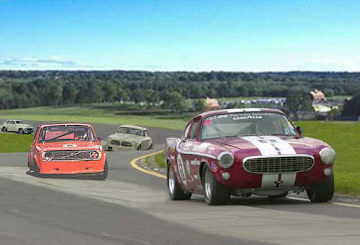 The club also supports Volvo's various other models from the PV444 through the Amazon, 140, and 160 series. In 2003 the decision was made to recognize all out-of-production Volvos. Volvo Sports America / 1800 was founded in September 1976 by Jon Keebler and David Pollock, both 1800 buffs, in Philadelphia, Pennsylvania. There are now over 1200 members from coast to coast, in Canada and eight foreign countries! The club's purpose is to encourage the ownership, proper operation, maintenance and restoration of all Volvo 1800 Series and other vintage Volvo cars and to serve as a source of technical information and exchange. Local chapters throughout the United States and Canada hold regular meetings, technical sessions, swap meets, and various other events to help members care for their Volvo. National conventions are held yearly around August on both the East and West coasts. Concours judging, track days, rallies, a swap meet, banquet and technical workshops highlight the weekend's events. All Volvo owners are invited to attend and join in the festivities. Our club magazine is called VSA, and is published quarterly. 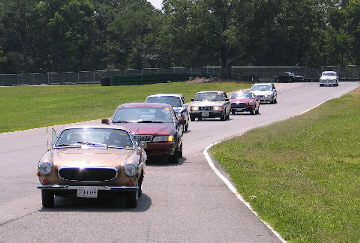 Feature articles include VSA national news and event coverage; local chapter news and events; technical articles pertaining to both mechanical repair and restoration of all out-of-production Volvo models; member classified ads; a listing of vendors that offer parts and/or service discounts to VSA members; and paid advertising for Volvo parts and service providers. 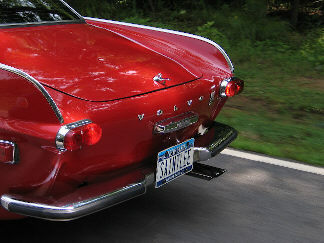 VSA has an enthusiastic, worldwide membership of Volvo owners, mechanics, and collectors. Through the club, Volvophiles are able to exchange tech tips, stories, spare parts, buy/sell automobiles, attend various events, etc. We invite you to learn more about VSA by paging through the site index in the left-hand margin of each webpage. Membership information, secure online applications, and a member address change form can be found on the Join VSA page. www.vsa.org is designed for optimal viewing at a resolution of 1024x768. Disclaimer: This site is not affiliated with AB Volvo, Volvo Car Corporation, Volvo Cars of North America, Inc., or other Volvo companies whose products may be viewed herein. The use of the Volvo trademark/logo has been authorized by Volvo Cars of North America. Home Page Photos Copyright © 2004 by Denis Tanney and Michael Tanney, and not for re-use. www.vsa.org design and layout Copyright © 2003 by Bearman, and not for re-use.